Sotheby's unveils "Bowie/Collector" sale catalogue | What is it worth? Sotheby’s revealed the full list of the much anticipated Bowie/Collector sale, bringing the extent of late icon David Bowie’s collection to light for the first time. The catalogue includes more than 350 works, which will go under the hammer on November 10-11. The remarkable collection of David Bowie will be auctioned off in a three part sale at Sotheby’s London after being showcased for the public on November 1-10 at Sotheby’s New Bond Street galleries in London, giving fans, collectors and art lovers a once-in-a-lifetime opportunity to discover the extraordinary range of objects that provide insight to Bowie’s private world. On Friday 4 November visitors get to experience Sotheby’s After Dark which is an all night view of the exhibition with music, talks, film screenings and more. On the weekend, 5-6 November, the auction house will hold talks dedicated to celebrating Bowie’s life as an icon, musician and collector. 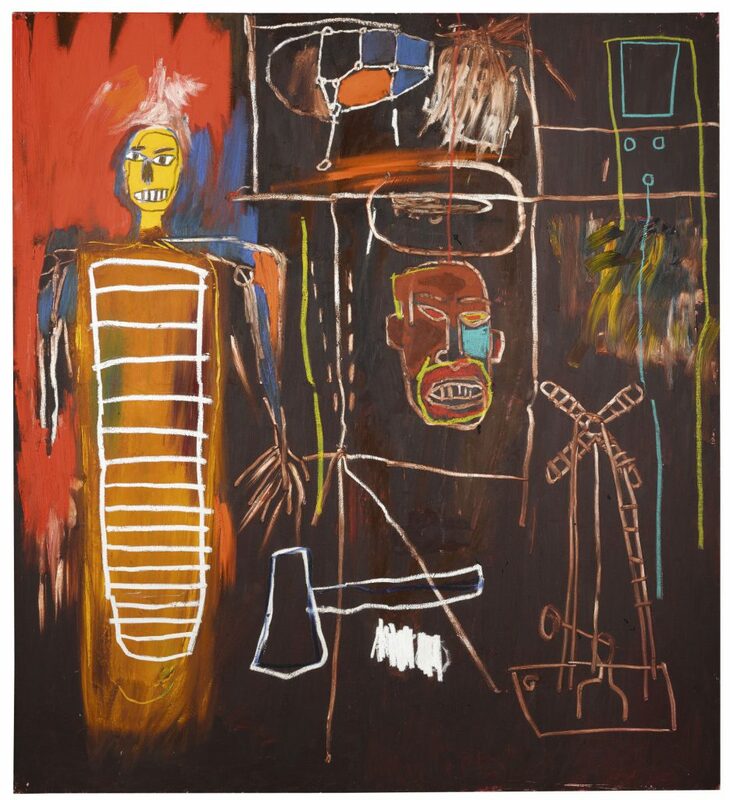 On the evening of 10 November the most important pieces from the David Bowie Collection will go under the hammer, led by Jean-Michel Basquiat’s magnificent Air Power. The evening sale includes Bowie’s vast collection of 20th century British Art, which ranges from Harold Gilman’s Interior (Mrs Mounter), painted during the First World War, to works by Damien Hirst from the 1990s, and continues with David Bomberg, Henry Moore, Graham Sutherland, Eduardo Paolozzi, Patrick Caulfield, Frank Auerbach and Leon Kossoff. The selection is expanded on with works by Marcel Duchamp, who Bowie cited as a major influence, and Francis Picabia as well as a 16th-century Venetian altarpiece by Tintoretto. In the morning of November 11, Part II of the Bowie/Collector sale reveals Bowie’s eclectic collection in full extent. 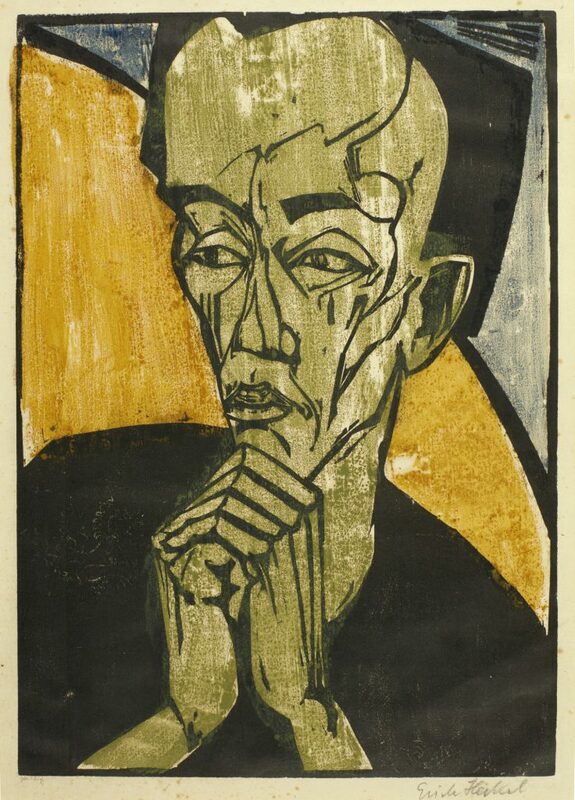 Alongside paintings, drawings and sculpture by 20th-century British artists there are German Expressionist prints, Picasso ceramics, collections of Contemporary African and Outsider Art, and a Surrealist chess set by Man Ray, all of which provide a unique insight into Bowie’s artistic vision and his passionate collecting journey. David Bowie was renowned as an art lover and collector but the depth and breadth of his collection is awe-inspiring. Bowie was private about his art collection according to Beth Greenacre, the curator of David Bowie’s collection since 2000. “[…] personal interests and passions fueled his collecting.” she said, although he never turned down a loan request from a museum or gallery. Still, the exhibition at Sotheby’s is a unique chance to see the personal taste of the pop icon. The last part of the Bowie/Collector auction takes place on November 11 4:00 PM GMT which includes the broad and unique collection of design Bowie amassed through the years. 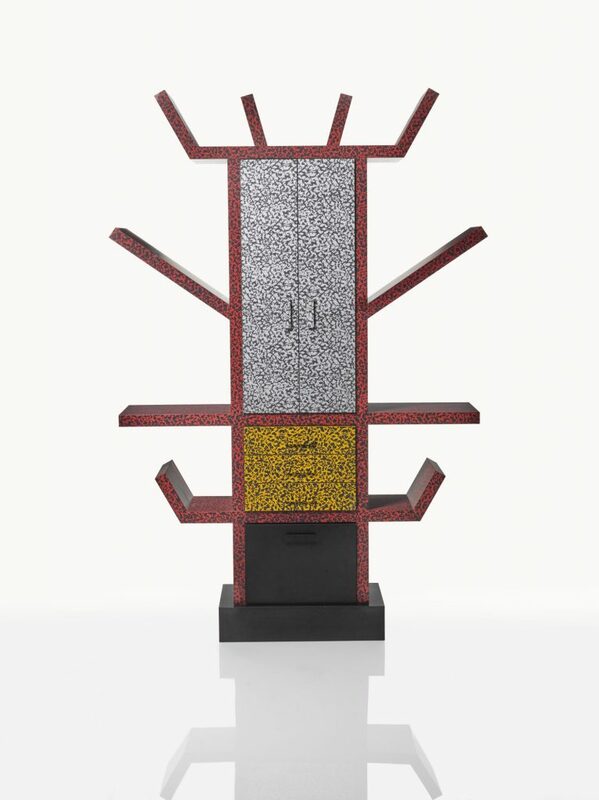 He was a dedicated fan of the sleek and polished designs by quirky Italian Ettore Sottsass and the Milan-based Memphis group. The sale includes pieces such as the iconic Post-Modernist “Casablanca” Sideboard, from the first Memphis collection of 1981, and the unconventional record player, the RR 126 Radiophonograph, designed in 1965 by the brothers Pier Giacomo and Achille Castiglioni for Brionvega, “both of which are definitive pieces of cutting edge Italian design fitting for the most innovative and daring musician of his generation” as Sotheby’s puts it in their catalogue. The sale includes another Memphis design highlight: the “Big Sur” Sofa by Peter Shire (pictured above in the cover image), a geometrical masterpiece, which is expected to sell between £ 3,000-5,000. For more information, contact Sotheby’s at [email protected].